Ruthiebear (Titusville, NJ, United States) on 19 February 2018 in Landscape & Rural. Bel arbre sous la neige. Presque un dessin, un traitement intéressant, merci. Wonderful to have such a view. You have a nice window ! Gigantesque et superbe, qu'il est beau ton arbre chère Ruth, ta photo est magnifique! Bise, bon lundi tout en douceur! Waaauw.....what beaitiful to see ! 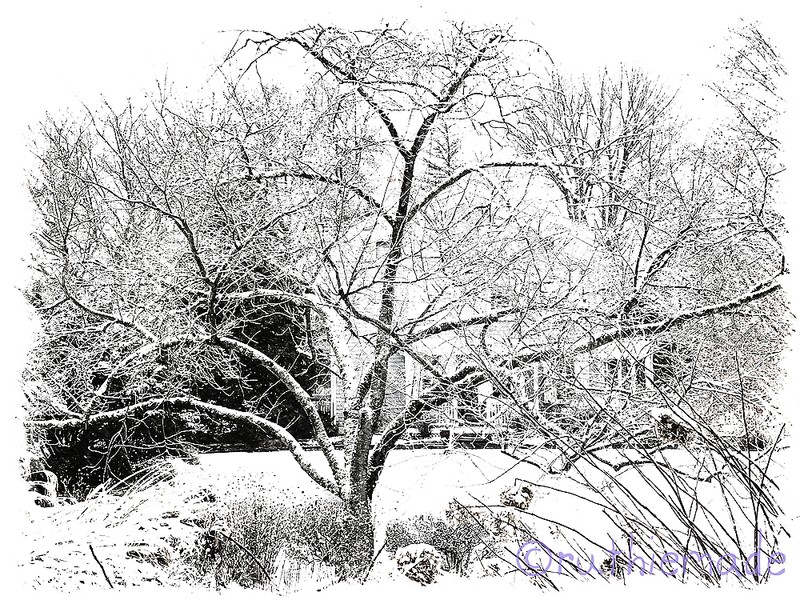 Excellent processing to emphasize the snowy processing and I love this tree's spread!! The view from your wndow is very attractive and made even better with the snowy condition. A fine picture and wonderful view. Stunning winter image. Beautiful. Excellent treatment. What a nice view from your window, there will be many birds, I think. A very good "ink and paper" feel to this one. Nice High key on the snow. A very graphic composition. The tree seems to be a fine winter sculpture. Beautiful. A beautiful snow scene. I love the black and white. Wonderful processing! You must be tired of this ! We had some warm/hot weather. Tomorrow morning they say we will have 36 degrees. In the month of December we didn't gothic low, only the outlying areas did. Some days you just have to stay inside. A very nice shot. Very poetic picture!wonderful black and white ! The editing adds to the wintery feel of this image.